I was invited to check out Google's new social network, called Google Plus, a few days ago and so far I've been extremely impressed. Everything about Plus feels well thought out and smooth. The engineers behind this project clearly put a massive amount of time into it, thinking through even the smallest details, and it shows. 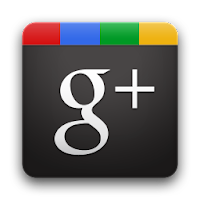 Google Plus is the culmination of lots of rumors, and it weaves together existing Google products into one cohesive experience that has the real potential to challenge Facebook and Twitter in the coming months and years. Unlike Google's other social attempts, namely Wave and Buzz, Google Plus seems to have a real chance of changing the social landscape. Wave suffered from extremely limited adoption, a buggy website, no real mobile support, etc. and was finally shut down completely. Buzz still exists, but has become largely a dumping ground for other services. People use it simply to pipe in status updates from Twitter, photos from Flickr, etc. In addition, Buzz never got a good mobile application for alerting you to new updates from friends. Before you ask, no, as of now, existing users do not have the ability to invite friends. So please don't ask me for any.Now that that's out of the way, how is Plus as a service? What's it like to use? It's super solid and fast, to start. It feels like a service that has already been around long enough to add features. The fact that it launched with a fully-featured website, an Android app, etc. says a lot about how seriously Google is taking this project. The main screen of Google Plus is the Stream, which is similar to Facebook and Twitter in that it shows recent activity from your friends. You can comment on other people's posts, or +1 it, much like Facebook's Like button. Speaking of friends, one of the coolest features of Plus is called Circles. It finally makes organizing friends into groups fun and easy. Facebook has the ability to make groups of friends and then only share certain content with certain friends, but it's not the most intuitive process, and nobody wants to go through their huge friend lists making detailed lists and groups. Plus changes that with Circles. You simply drag friends into whatever circle you deem appropriate, such as Friends, Family, Coworkers, etc. Then, every time you post or share something new, you can select which Circles can see the post. And unless you share a post publicly (which you can easily do), it won't appear in search results, and will only be visible to the people within the Circle you selected. The next super cool feature is called Hangouts. Essentially it's group video chat, but with some additions. Someone starts a hangout and whoever they share it with sees a notification in their stream. Up to 10 people can then join in and all video-chat together. The system detects who's currently taking and makes their video box bigger. It's an awesome idea, and one of the best (not to mention cheapest, being totally free) group video chat services currently available. There are also some great features included in the Android app. The first is called Huddle, which is group-text chat. You can select a circle, or individual people to being talking to and then all of you can chat back and forth as a group. The next is called Instant Upload. With your permission, the app automatically uploads every photo or video you take with your Android phone to a private album. You can then share any of those photos/videos from your phone or from your desktop when you get back home. Even if you chose to not share, this is an awesome service for cloud photo backup. And get this: the desktop website for Plus knows which photos you've taken recently with your phone. So when you go to post a new update on the website, it shows you thumbnails of all the photos/videos you've taken over the past 8 hours. Imagine going to an event, snapping a few photos, and then the photos are waiting for you at home, ready to attach to an update with literally one click. That's just awesome. Google says an iOS app is coming soon, but they didn't specify which features would be included and which wouldn't. If I had to guess, I'd say Instant Upload will not be part of the iOS app, just because I doubt Apple would allow an app to do that. There was a remarkably apt xkcd cartoon when Plus launched All in all, I think Google has a real winner on their hands with Plus. It's definitely one of their biggest product launches in a long time, and it's still in what they're calling "limited field trial." They say more features are coming and that the site should be open to anyone later this year. I hope this product finally pushes into the social space in a way that Wave and Buzz couldn't. I'm personally really liking Plus so far, and I hope other people agree.